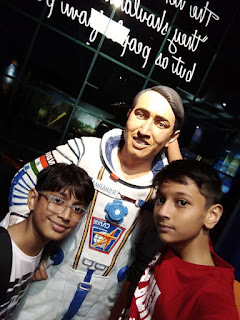 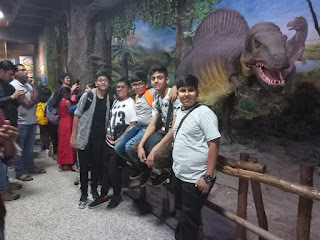 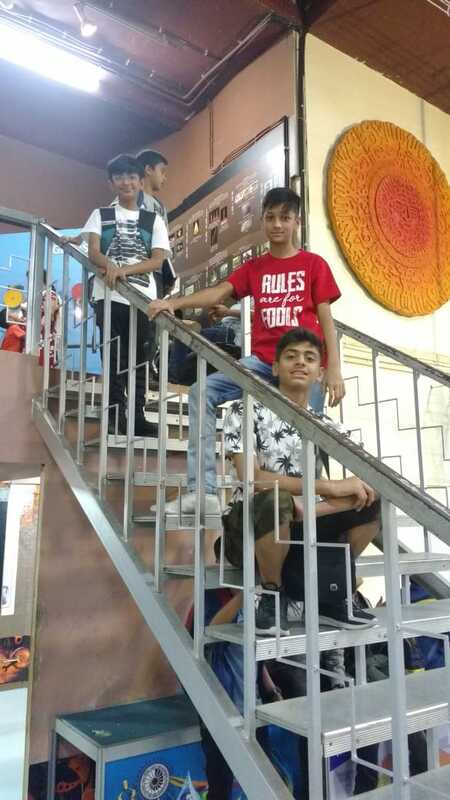 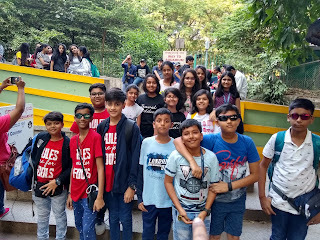 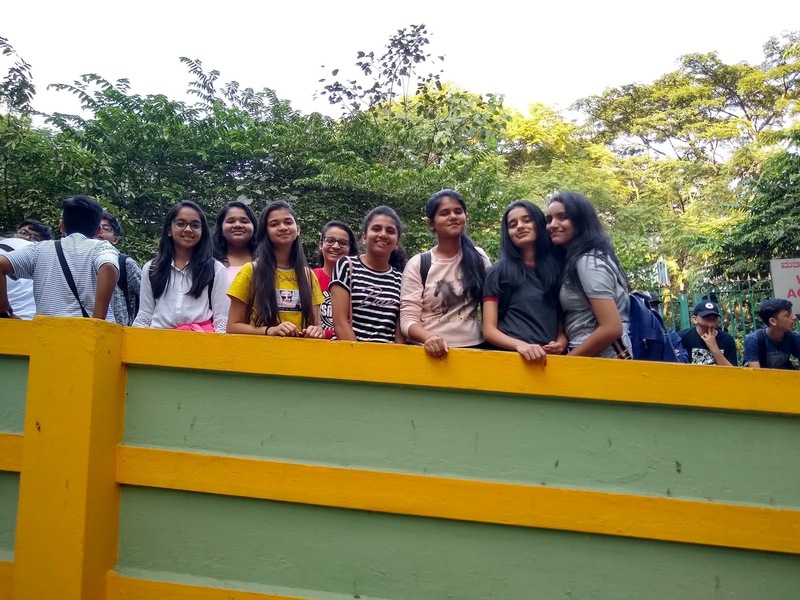 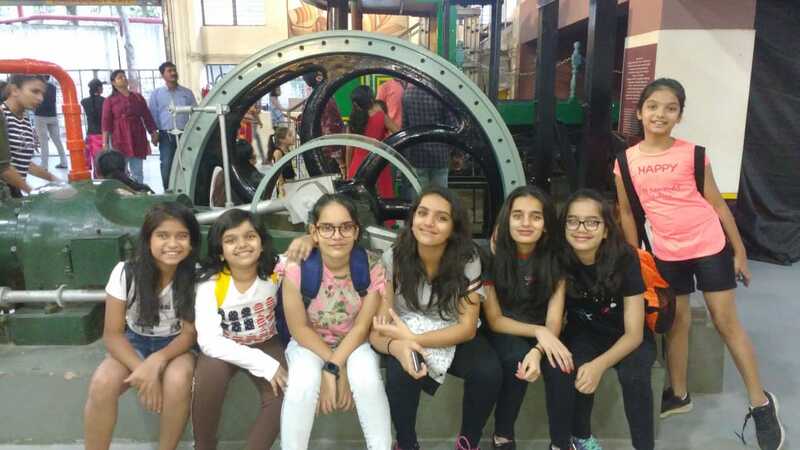 On the top of the World...: Bangalore Trip By Witty International School Pawan Baug. 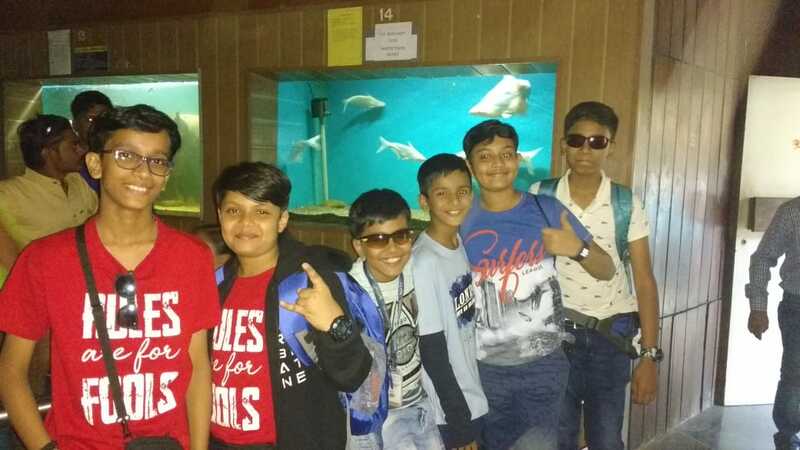 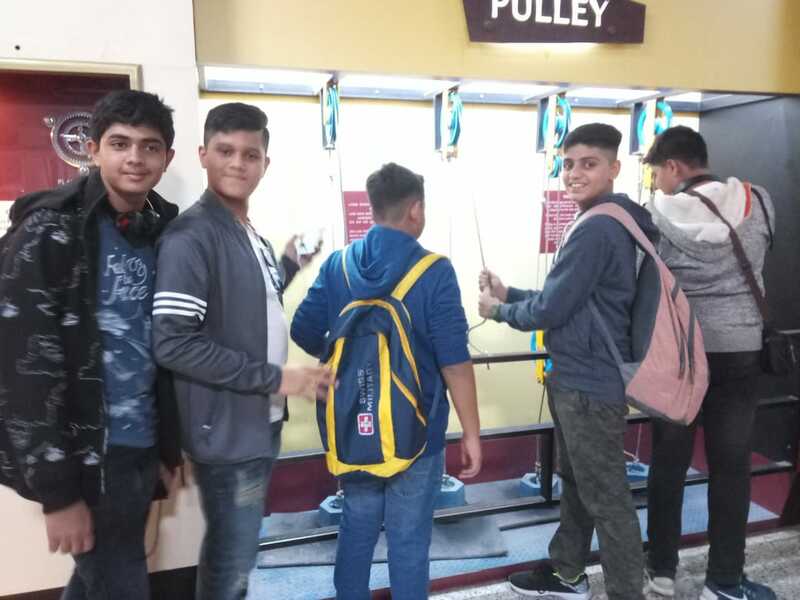 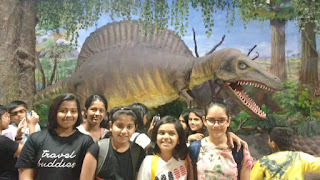 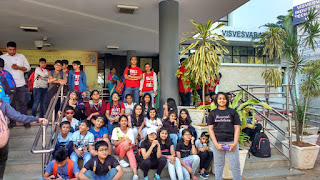 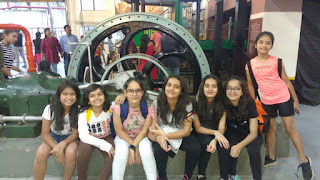 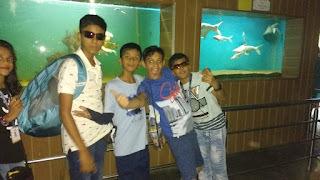 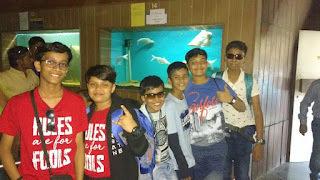 Bangalore Trip By Witty International School Pawan Baug. 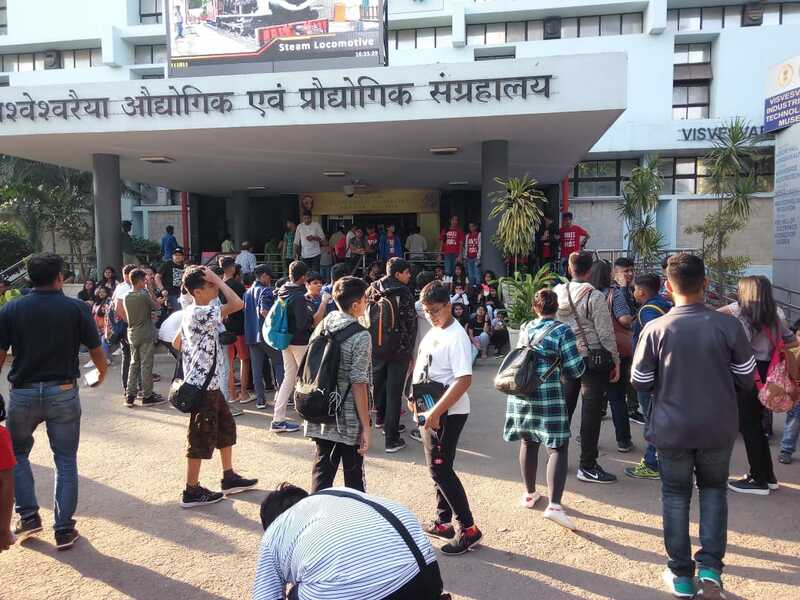 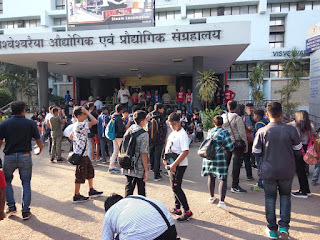 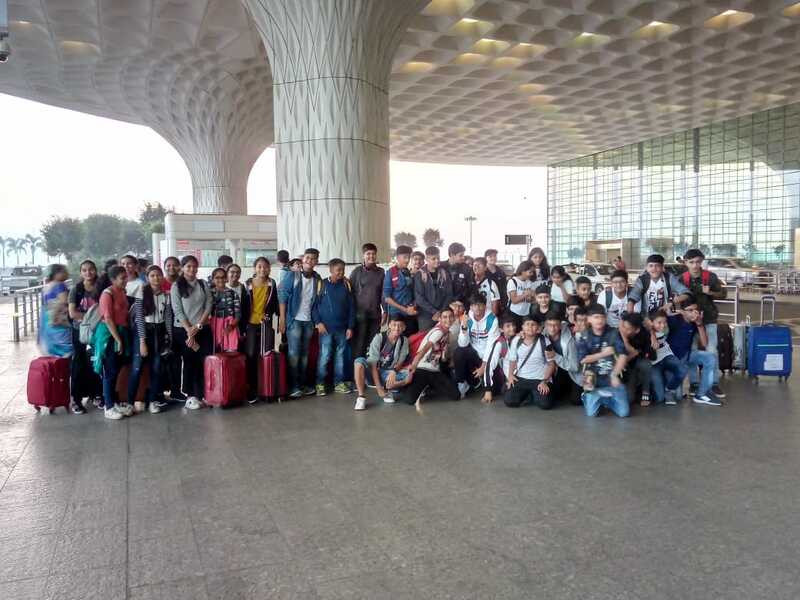 The day finally arrived where 80 excited students, all geared up, met up together along with their parents in the school premises, at 6.00 am on 10th November 2018; each of these 80 students filled with exuberance to live out the next 6 days without family in 3 different cities of South India. 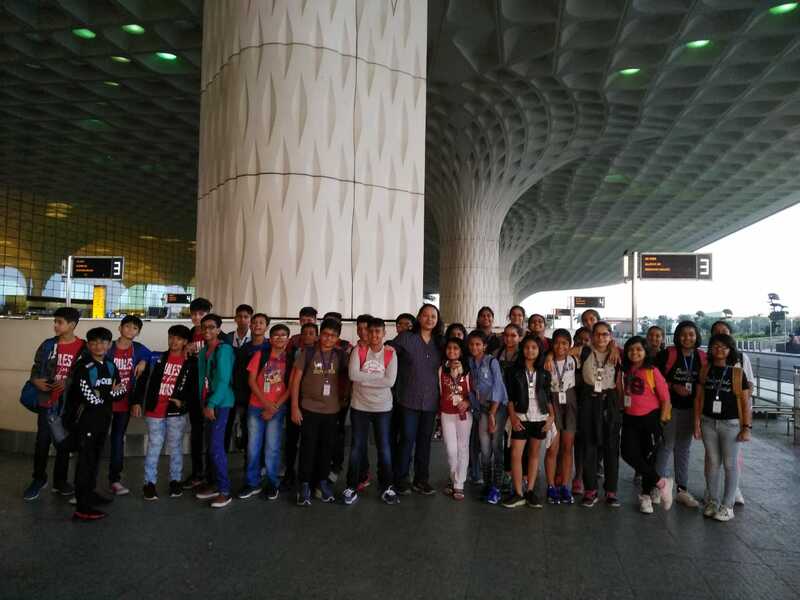 The entire group was divided into 2; those flying to Bangalore in an Air India Flight and those flying in a Jet Airways flight. 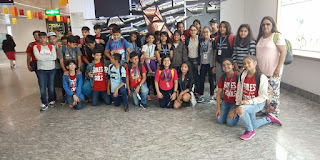 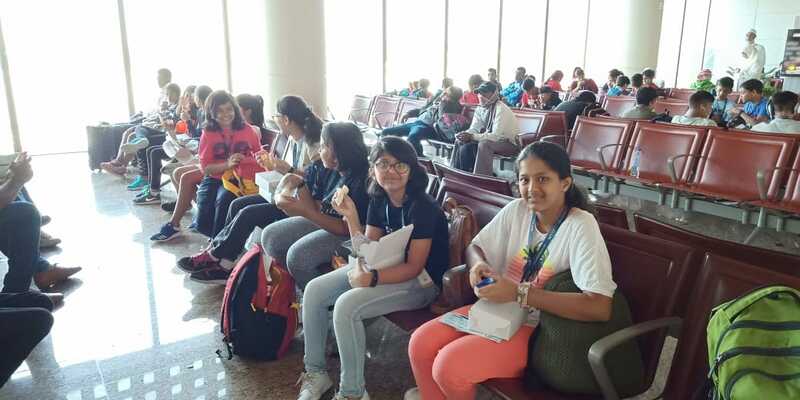 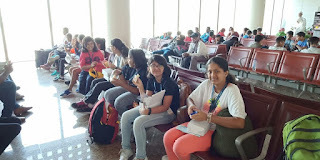 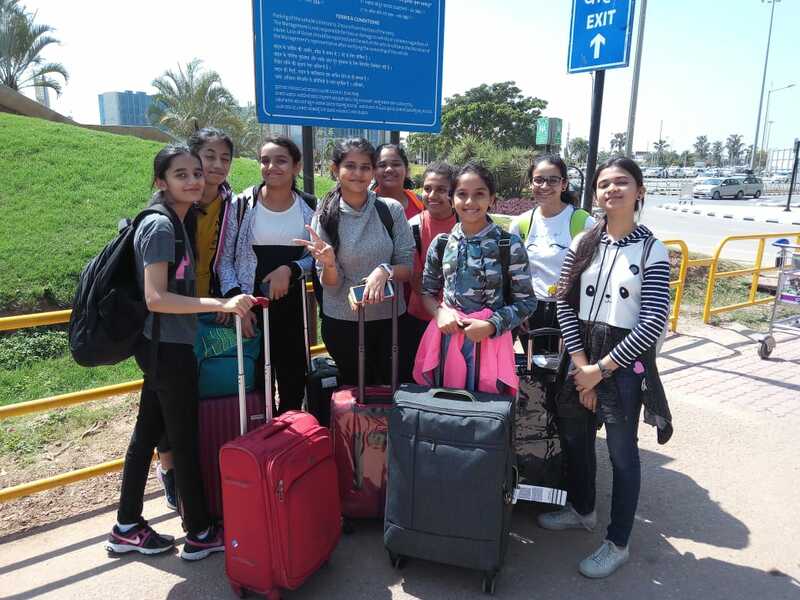 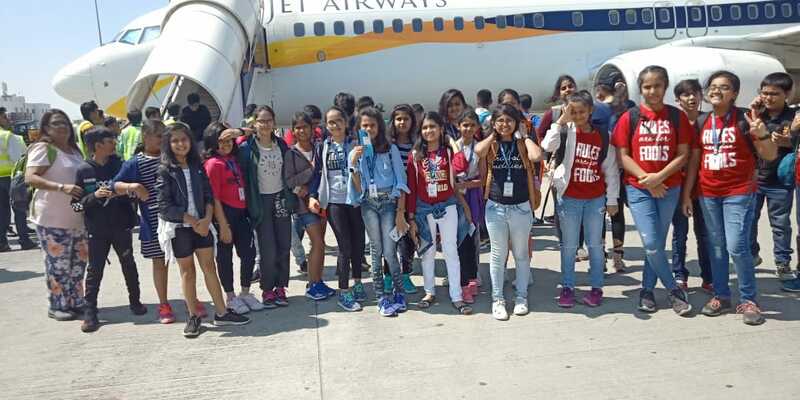 The 8th and 9th grade comprising of 46 students along with 4 teachers boarded the Air India flight which took off from Mumbai T2 terminal at 9.20 am and the 6th and 7th Grade comprising of 34 students along with 3 teachers boarded the Jet Airways flight which took off at 9.55 am. 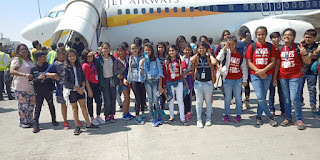 After a safe 1 hour 30 minutes flight the students from the two flightsboarded two air conditioned coaches to the hotel. 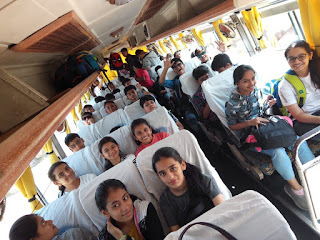 The trip from the airport to the hotel was a good 1 hour drive. 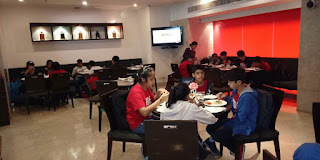 The entire group was housed at Royal Orchid Central. 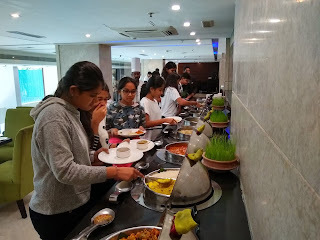 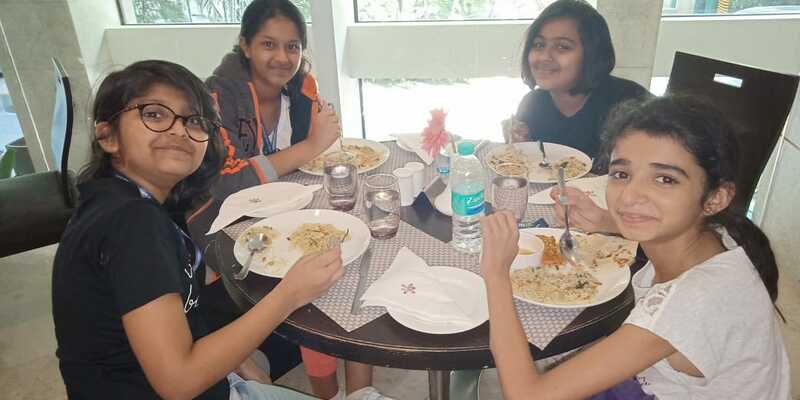 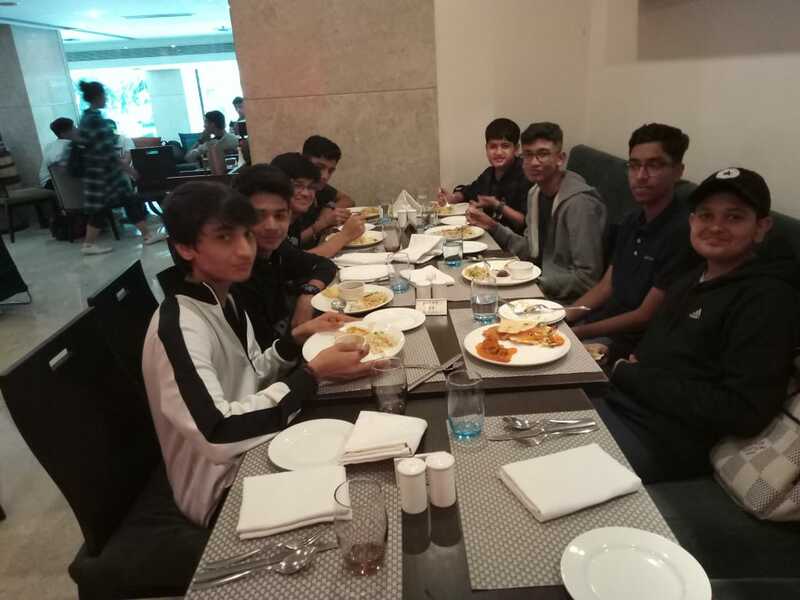 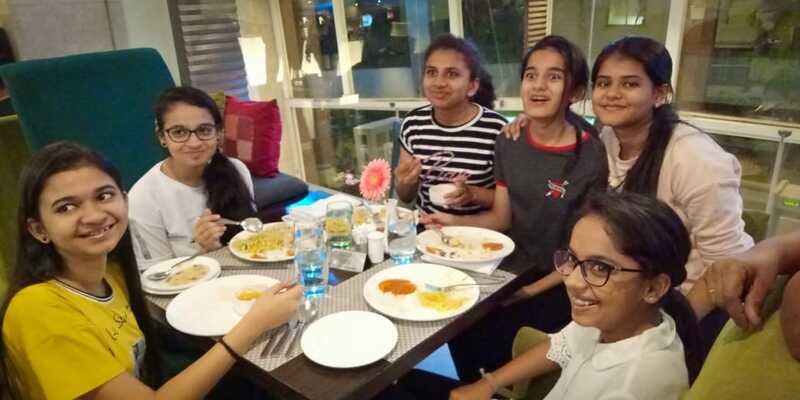 On reaching the hotel, the students headed straight for lunch which had a lavish spread of soup, salads, varieties of dishes and desserts. 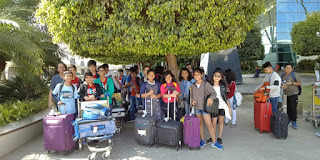 After checking in and refreshing, the students left for the day’s outings. 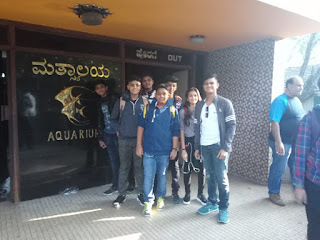 We first headed to the Government Fish Aquarium. 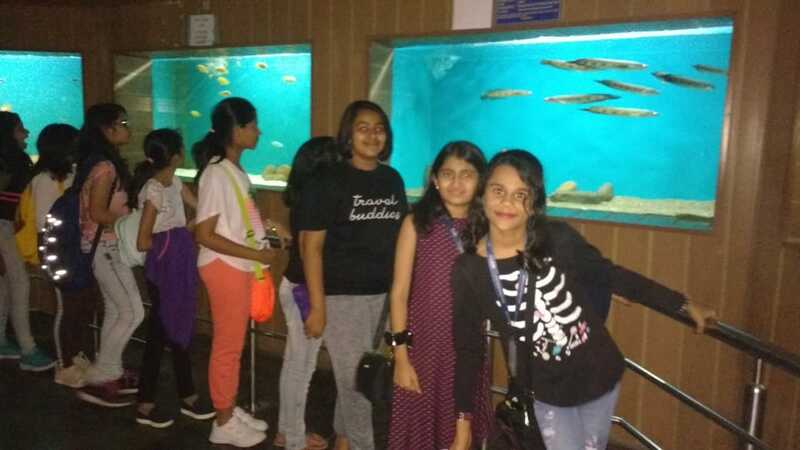 The aquarium is designed very well and is meant to catch the attention of the viewer. 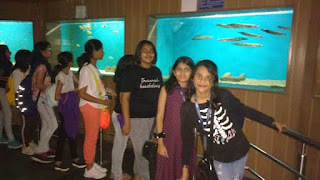 It houses a variety of fishes from all over the world. The students, especiallythe younger ones, couldn’t hold back their excitement. Photographs and selfies were clicked galore. The troupe then marched onto the next location – the Vishveshwara Industrial and Technological Museum. 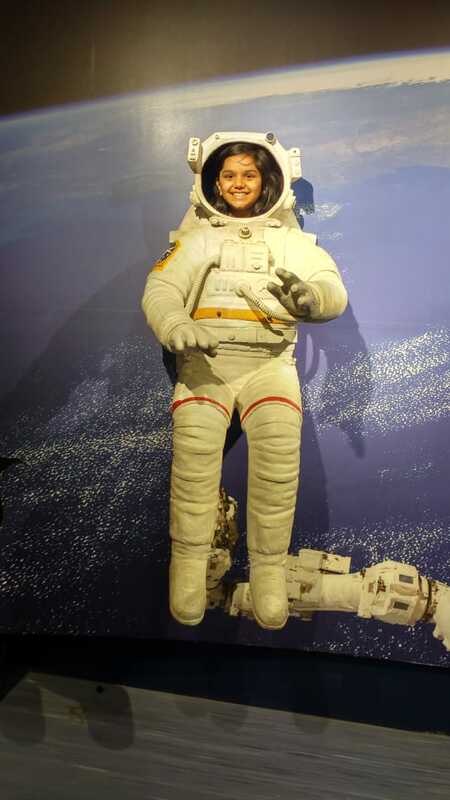 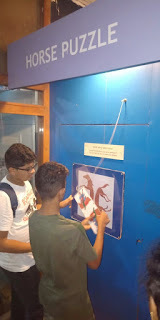 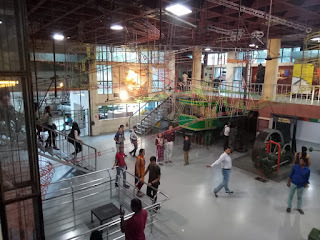 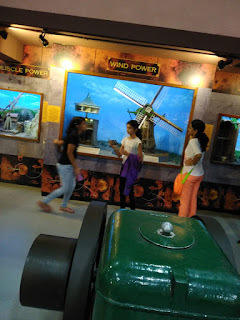 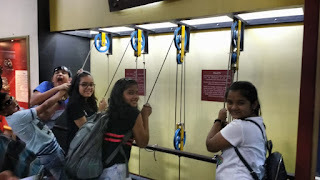 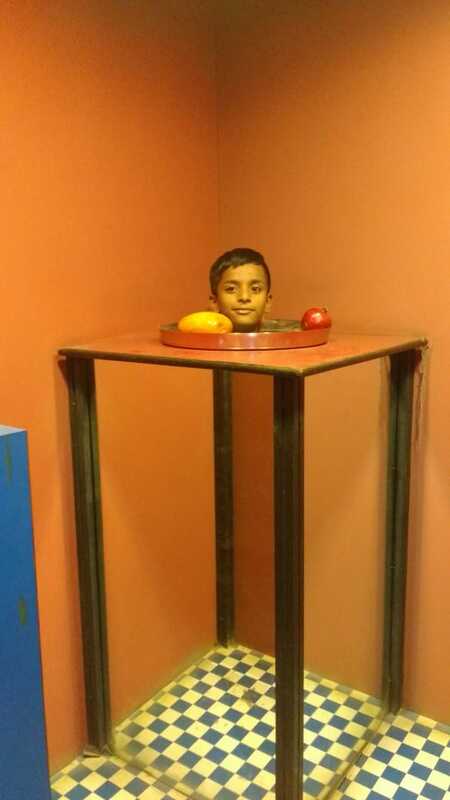 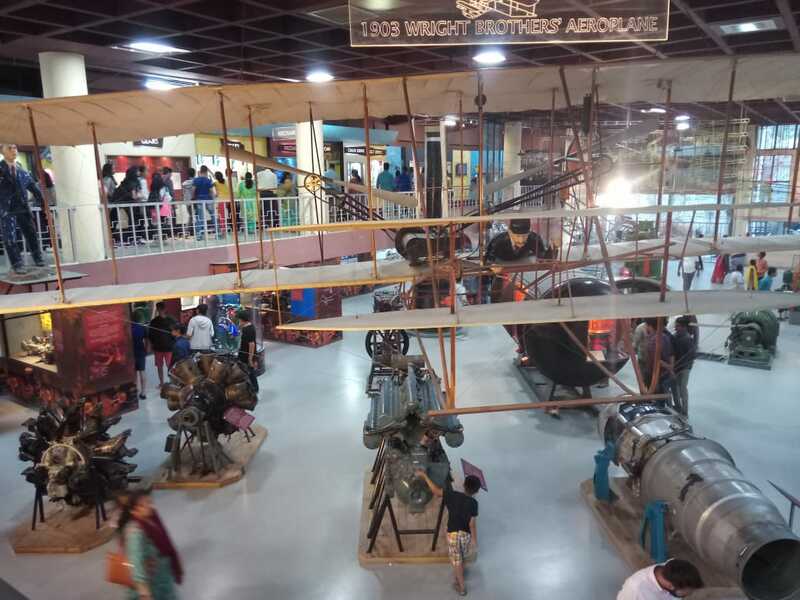 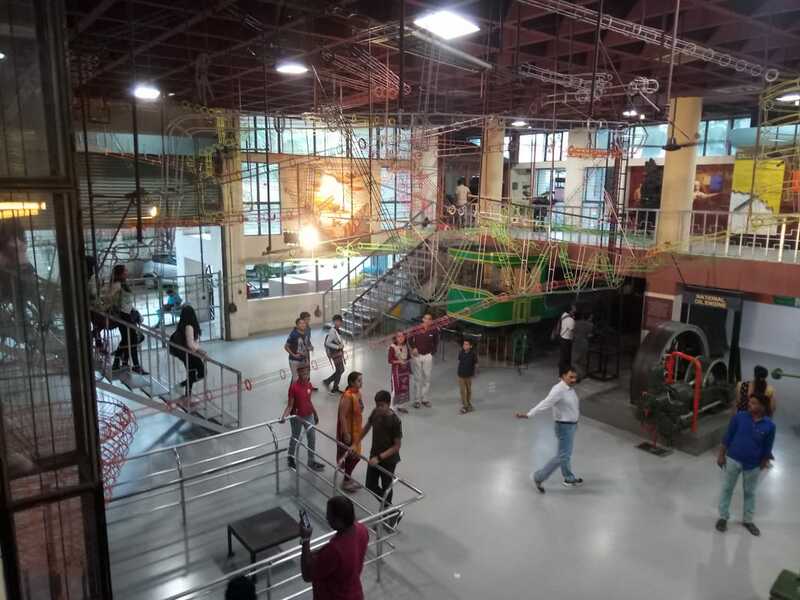 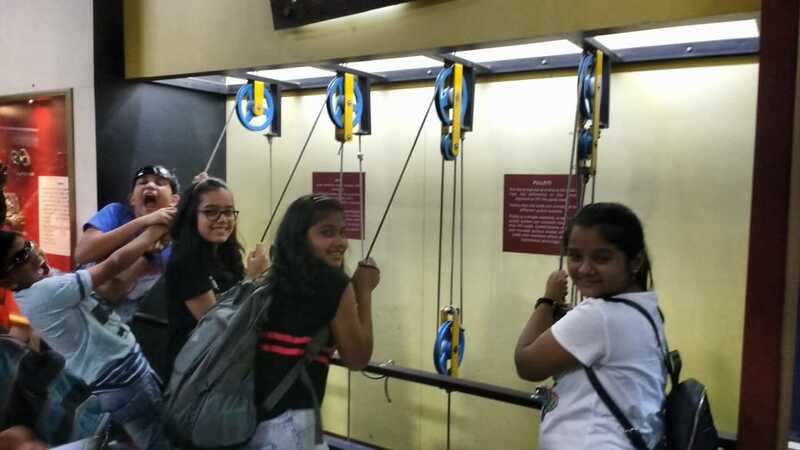 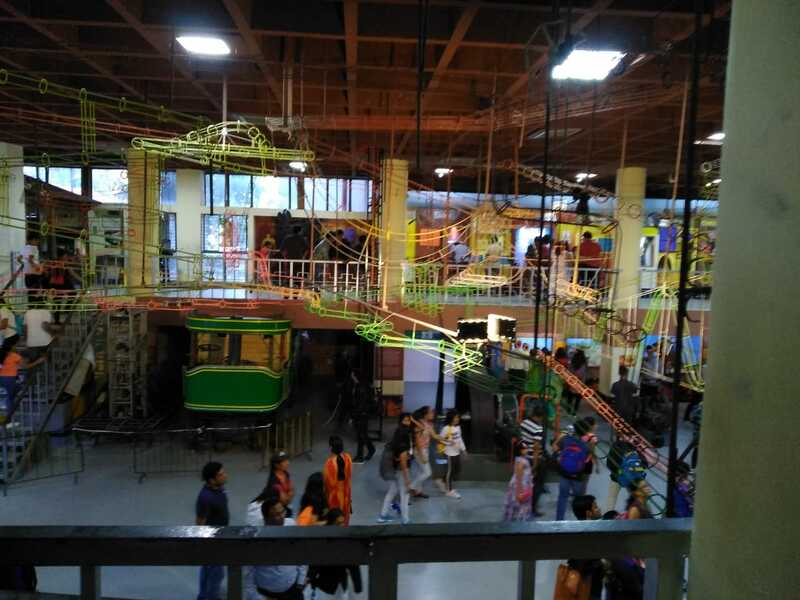 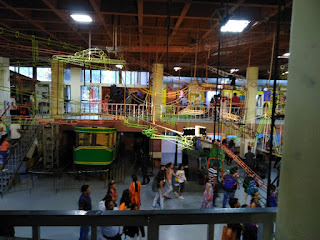 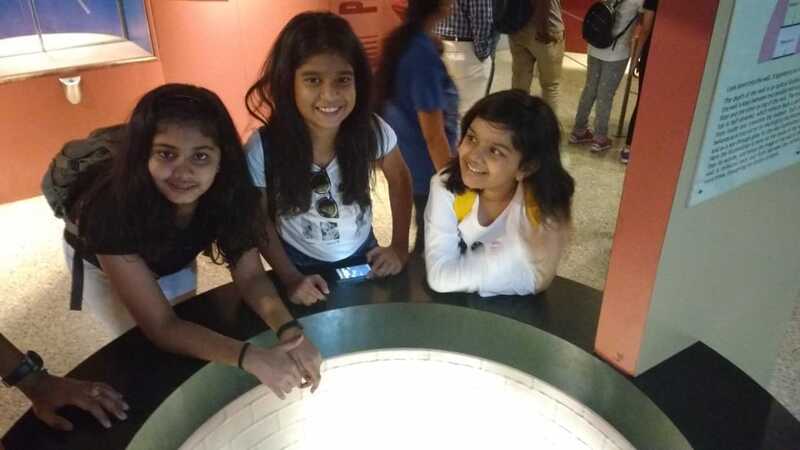 This museum is to a great extent a replica of the science centre at Worli, Mumbai. 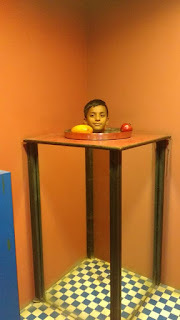 Having said that, it also holds many new inventions and scientific facts recently added. 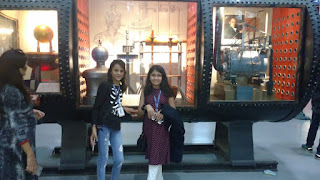 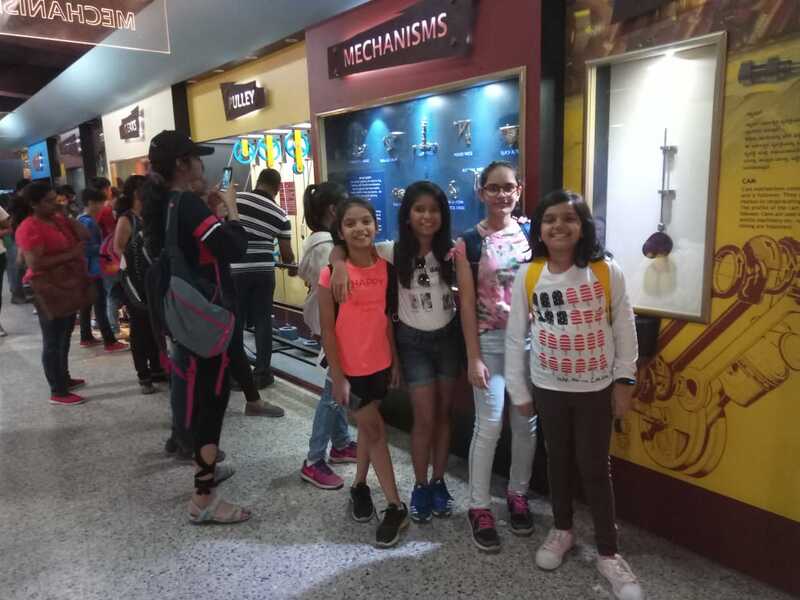 Students along with their teachers stood in absolute wonder looking at the various gadgets and inventions. 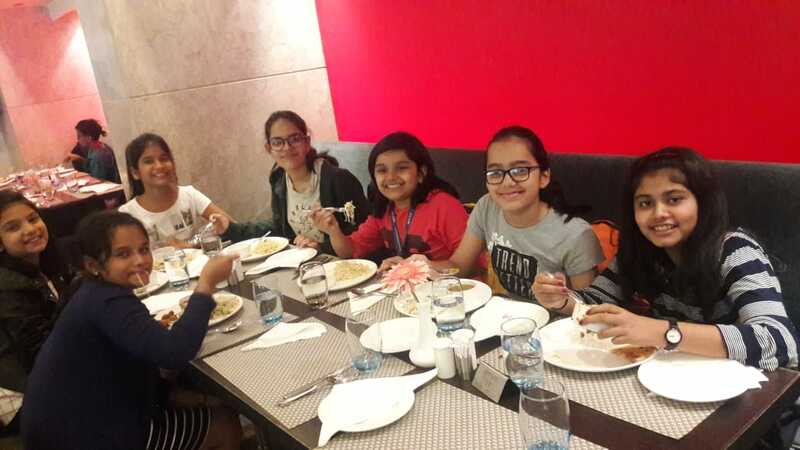 Ice-cream was served while students made their way to the bus. 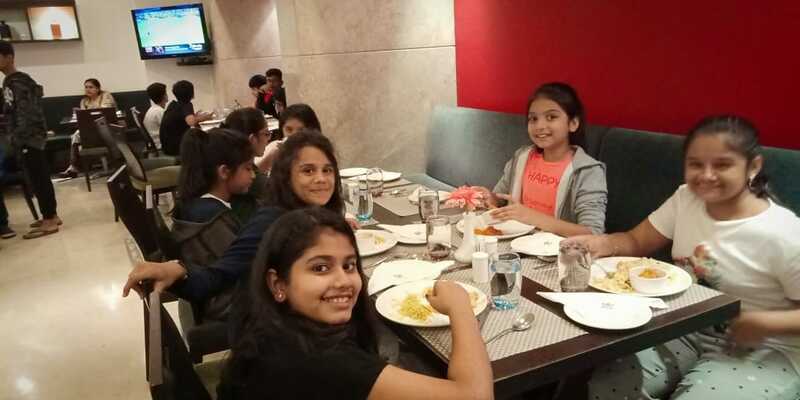 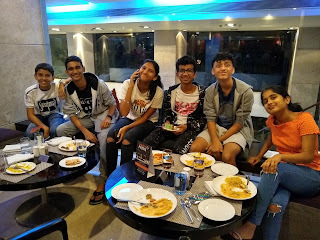 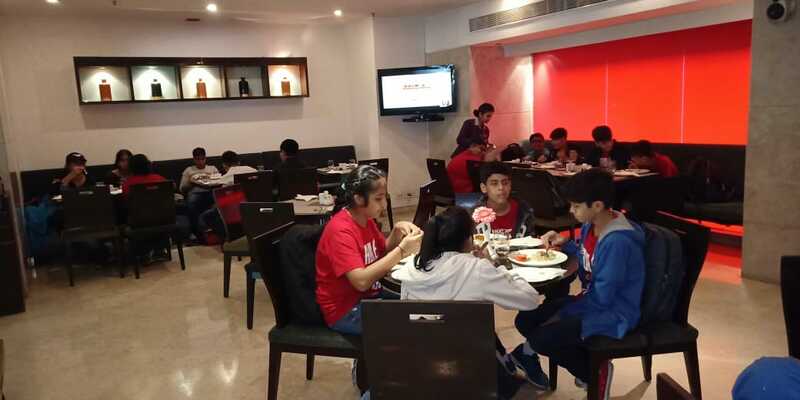 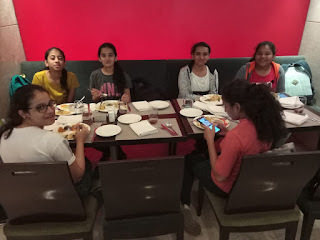 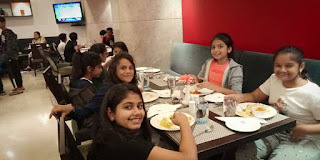 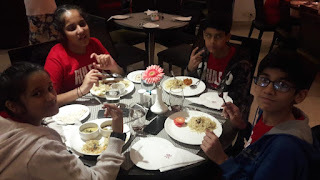 On arrival at the hotel the students went straight for dinner which served both Indian and Italian dishes. 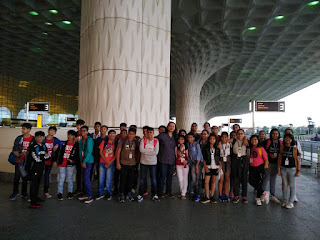 Thus marked the end of Day 1 of the tour – tired but extremely satisfied students.